Welcome to the weekly meme that celebrates the wonders and sometime hilarity of cats! Join us by posting a favorite LOL cat pic you may have come across, famous cat art or even share with us pics of your own beloved cat(s). It’s all for the love of cats! Enjoy! This meme is hosted by the True Book Addict! 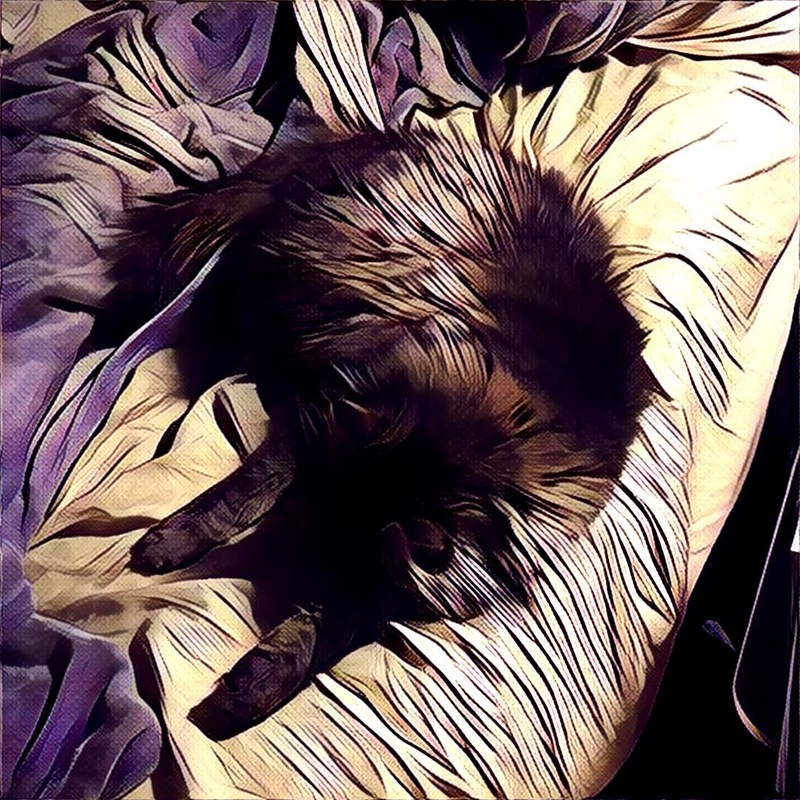 Here, I’ve used the Prisma app’s various filters on my boys, including old Rockykins, whom I still miss terribly. I’ve started with . 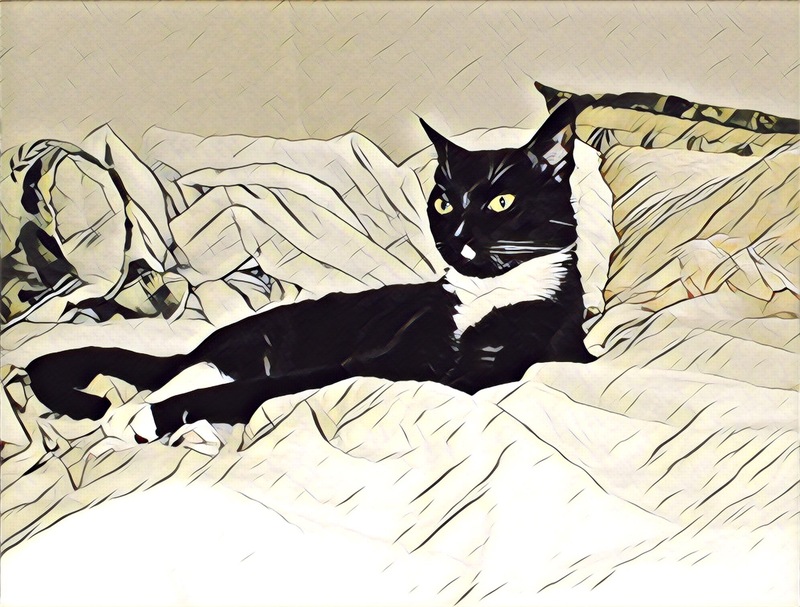 . .
Mr. Eccles, enthroned on my sheets . 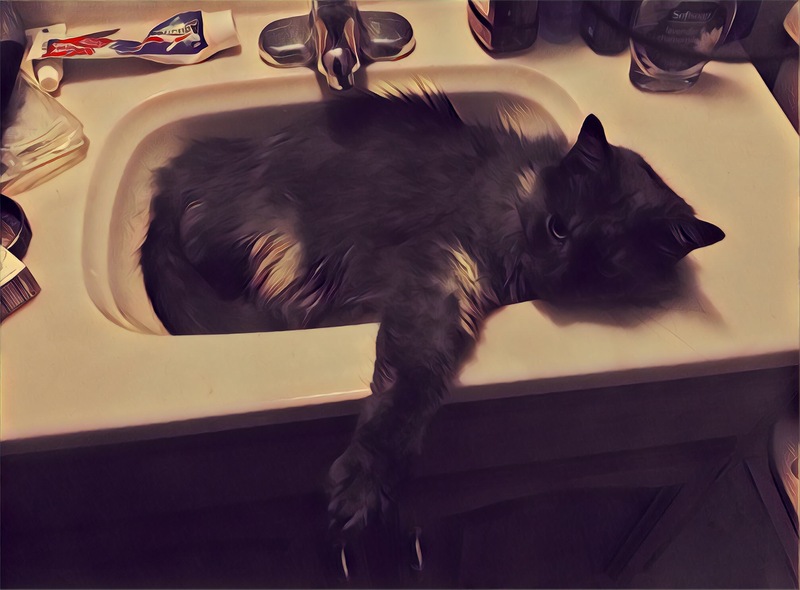 . .
Old Rockykins, lounging in the sink to cool himself on a hot night . . .
. . . Aaand Rickythulhu, once he started to get used to people.